TeslaTesla’s new Roadster is expected to arrive in 2020. Tesla CEOElon Musk said the SpaceX upgrade package the company will offer for the new Roadster will include around 10 small rocket thrusters that will improve the vehicle’s acceleration, maximum speed, braking, and handling. Musk also said the package would remove the vehicle’s rear seats and advised that it would not be suited for urban areas. The system will most often be powered by the vehicle’s battery pack, according to Musk. TeslaCEO Elon Musk has provided more details about the SpaceX upgrade package the company will offer for its upcoming Roadster sports car. On Saturday, Musk said the package will include around 10 small rocket thrusters that will improve the vehicle’s acceleration, maximum speed, braking, and handling. Musk also said the package would remove the vehicle’s rear seats and advised that it would not be suited for urban areas. Musk later said the system will most often be powered by the vehicle’s battery pack. Musk announced the SpaceX package on Tuesday at Tesla’s annual shareholder meeting. Tesla unveiled the new Roadster in November. The company said the base version of the vehicle will be able to accelerate from 0-60 mph in 1.9 seconds, reach a top speed of 250 mph, and drive 620 miles per charge. 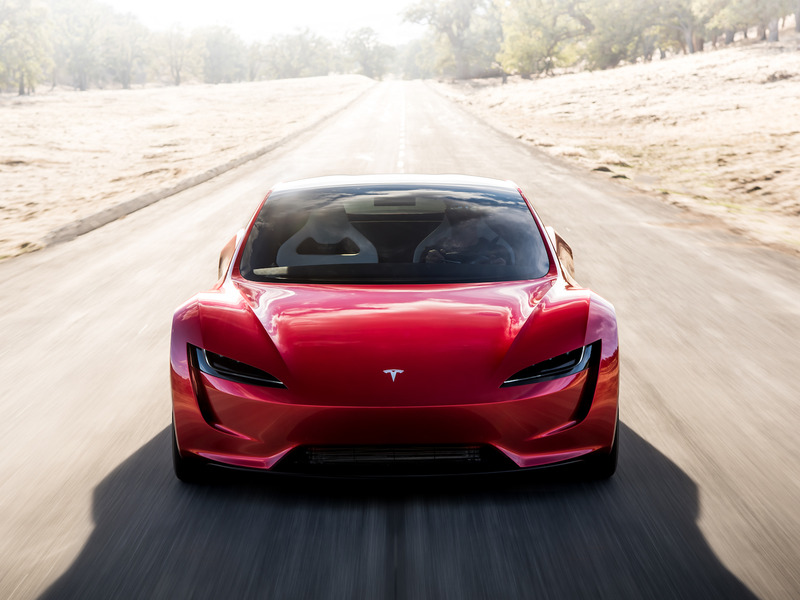 The new Roadster starts at $US200,000 and is expected to arrive in 2020. Musk has said the new Roadster’s intention is to prove an electric car can outperform high-end gas-powered cars on any performance metric.